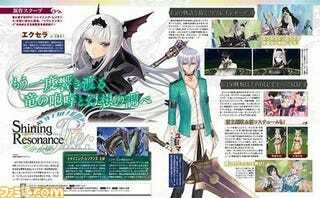 Shining Resonance is getting a revamped version for the PS4. Shining Resonance is getting a revamped version for the PS4. Originally released in 2014 on the PS3, the “power-upped” PS4 release will feature remastered graphics. It will be out on March 29, 2018 in Japan. No word about an international release.